Cheque Presentation for Genesis Research Trust - Barrett & Coe Professional Photography & Training Courses. Professor Lord Robert Winston’s charity Genesis Research Trust funds original research to investigate the causes of infertility, miscarriage, stillbirth, and premature birth and find better ways to diagnose and treat them. 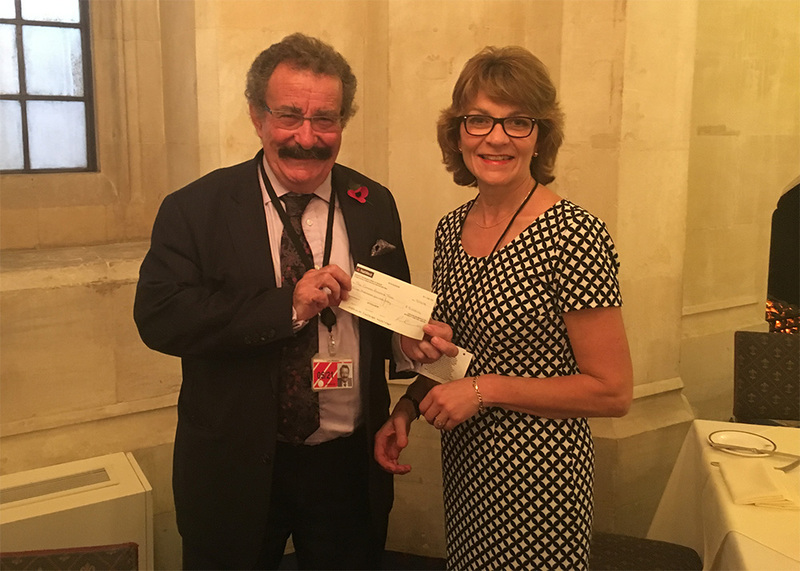 The picture above shows Jenny Plunkett (Barrett & Coe Operations Manager) presenting a cheque for £5000 to Lord Winston at the House of Lords yesterday. The donations have been collected from Barrett & Coe studios across the UK.